More Than Just Corn: Ah, What a Let-down! I had one of those "Oh Bummer!" moments yesterday after returning home from a walk. 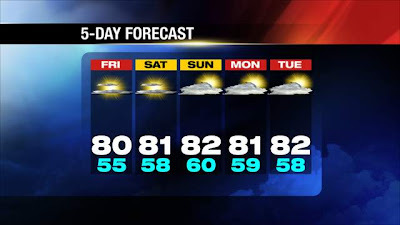 It was starting to get warm out again, low 80's so I wanted to see what was in store for the forecast over the next week. Not because there is anything special going on, just because I want FALL to get here already! Smell of fireplaces being used! Now, once the euphoric Oh-I'm-So-Happy-It's-Fall fog cleared, this is when my let-down kicked in.... I glanced a the top of the page and realized it said 5-Day Forecast for Lynn, MA. NOT where I live now. NOT the forecast I was hoping for after all..... I had a slip of the brain and typed in that zip code that I have forever imprinted on my brain. 01902. After I begrudgingly put back my favorite brown boots, tucked the sweaters back to the top shelf, gave my t-shirts, flip flops and pony-tail holders a dirty look, I mustered up the courage to type in the correct zip code. GAH! 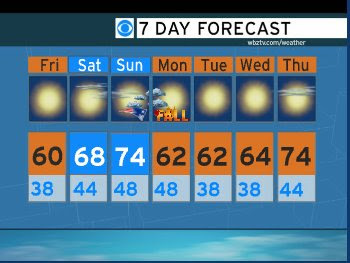 Better put aside the pot roast, turn the central air back to Cool, and water my flower boxes. Mother Nature apparently has not taken pity on me yet. OMG Andrea - I am literally LOL at you!!!! At first when I saw the forcast I'm like...wow one state over and that is not our extended outlook! But, I have to say I got nostalgic like you for all the FALL things and thought UM Stew, Chili, roast!!!! Hang in there - it'll be here before you know it!!!!!!! Did we have a blonde moment? Wait until the middle of January and you will be eating your words. Three post the same!!!! I think Grampy had a Senior moment. OMG -Andrea your family is just like you!!! Now I see that apple didn't fall far from the tree! That was a classic line - I can always come here for comic relief! !